Caroline Fletcher, the daughter of a wealthy family in Richmond, has never questioned her father's right to own slaves. But after a lengthy visit to her uncle's home in Boston, she learns of the abolitionist movement. Now, knowing that slavery is against God's will, she must risk betraying the people she loves to obey her convictions. 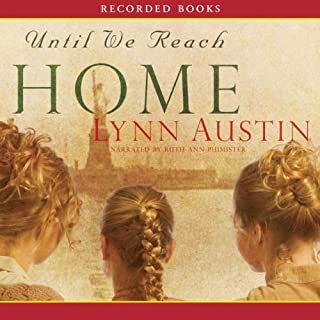 Compelling characters and the searing conflicts between North and South create a vivid canvas for Caroline's struggle to make the right decisions. 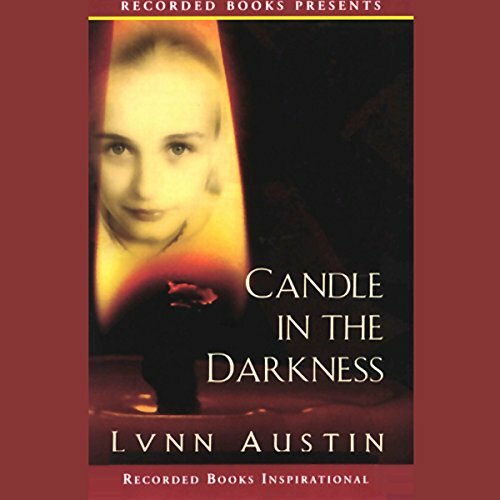 Through Christina Moore's hearfelt narration, Candle in the Darkness burns even brighter. I really enjoyed listening to this book. I really felt I got to know the main character, Caroline, and was very concerned with the outcome of the book and her fate. I particularly enjoyed the beginning of the book that discussed her childhood. A lot of issues were brought up that are not always addressed in a Civil War novel. This book also caused much introspection, and gave me a lot to think about. I would recomend this book. The narrator is effective and mostly very pleasant to listen to. 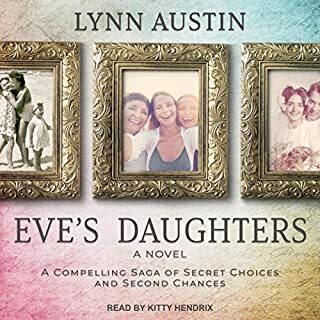 This was my first book audible book and I was pleasantly surprised. I found the story to be fascinating and the characters memorable. There were certain areas that dragged, but all in all, a very pleasurable listen. My children even became involved in the story and couldn't wait to get into the car and hear the next installment! A wonderful way to learn history. I enjoyed the different perspective on the war, from the women's point of view, from an abolisionist point of view, and from the slaves. 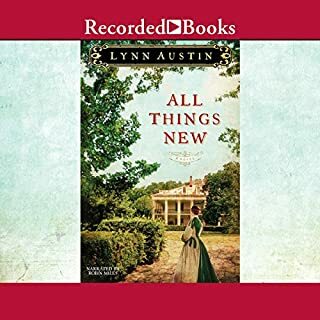 I have read (and loved) many historical novels about the civil war, the struggles between the northern and southern states, the ways of the Yankees and the Rebels, and the issue of slavery. This one is the best by far, because it is the only one that has broken down the barriers and prejudices into simple terms. Basic right and wrong. 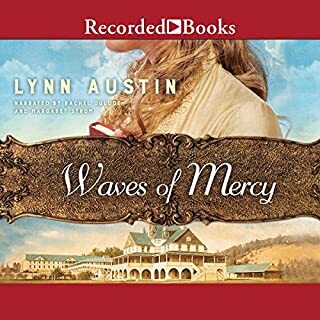 As I listened to this audio book, it became clear to me that the entire civil war, beginning to end, was a GOD THING. And I really have never thought of it in that way at all. I began to grasp the fact that the prayers and actions of a few simple, obedient, God fearing people really does matter. I gained not just head knowledge, but heart knowledge. So many things in this book are absolutely true. The racial prejudices of the north are still much worse than in the south. Yet the southern states are the ones that owned the slaves. Abraham Lincoln, (born in my home state of Kentucky, a state that remained neutral during the civil war), was, I believe a man sent by God to abolish slavery. Yet he was so hated that he was murdered while in office, not long after slavery was abolished. I will not soon forget this book and the simple truths that it brings. Love thy neighbor as thy self. Be a servant, as Christ was also a servant. Forgive others, as Christ has also forgiven you. This book is based on Christian principles, but it never preaches, never judges, never sees just one side. The losses suffered by both the north and south in the civil war was enormous. Many high school students would greatly benefit from reading and studying this in their history classes to gain a better understanding of what the war between the states really was about. A Must Listen to series. Yes, this is a series that everyone will enjoy. Each and every person plays a role in the book. Have you listened to any of Christina Moore’s other performances before? How does this one compare? She is great no matter which book she is reading. The entire book keeps you interested. This series is called Refiners Fire. Listen to the books in order. This is a series that you will feel badly when they are over. This book is very detailed. I found myself not able to listen and do other tasks at the same time without missing something. The narrator does a fantastic job with the book. The characters are distinct. The author definetly put a lot of work and research into this book. It is very detailed as I said and should have been a series of books. The reason I think this is because of the amount of time that the book spans and of course the detail. I found myself skipping around alot to hear the climax. It is a wonderful book if you would rather have more historical than romance in your fiction. It was not a predictable book. I felt however that the author rushed at the end and didn't put as much detail in the last hour of the book as she did in the rest of it. Overall, it is a good book. This book is beautifully written, researched, and narrated. 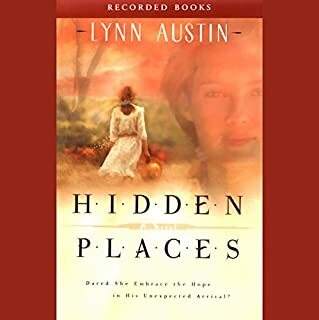 I am particularly interested in Civil War history and Lynn Austin did a fantastic job of conveying the emotional turmoil of the times. Her character was very believable and one grew to love the little band of servants. It is more a book about love than about war. Delightful. 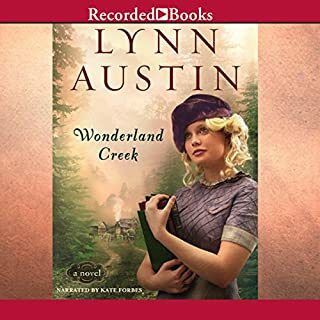 Lynn Austin is quite the historian as well as story teller. This is my favorite way to study history. Austin teaches as she entertains the Civil War story. I will listen to this audio over and over. If everything was different. The book was predictable, flat, and shallow. The attention given to the political, social and religious moods of the day was embarrassingly cliche and shallow. Historical depth and accuracy would be nice. The narration was aggravating. I'll go back and re-listen to a truly well done historical civil war fiction... either the North and South series, or the Kent Family Chronicles by John Jakes. I came across this book while trying to find another good civil war fiction series similar to the writings of John Jakes. This book truly is fiction, but historical it is not. Very misleading to have this classified as historical. This book was so good I couldn't stop listening. Good narrator too. Very inspiring book. Going through some tough times in my own life and this story truly helped to renew my faith and strength. Excellent encouragement in the worst of times.